-ဒီႀကားၿဖတ္ ေရြးေကာက္ပြဲကေန က်ဳပ္တို႔ ရလိုက္တဲ႔ သင္ခန္းစာက ေနာက္ ေရြးေကာက္ပြဲေတြမွာ လူႀကိဳက္မ်ားမဲ႔ ေပၚၿပဴလာ ၿဖစ္မဲ႔ မဲဆြယ္ စည္းရုံးေရးေတြကို မ်ားမ်ားလုပ္ဖို႔ပဲ ..
Editor: Different political forces in Myanmar are trying to consolidate and reconcile. But on the other hand, the game among them and the under the table confrontations never stopped. For Myanmar today, the ruling party- USDP- is without question the most important leading force. Will USDP step out of its historic shadow? In the “new” parliament, how will USDP and the opposition led by Aung San Suu Kyi co-exist with each other? With these questions, the reporters from Southern Weekend interviewed Aung Thein Linn, executive member of the Central Committee of USDP, chairman of the Reform and Modernization Supervisory Committee of the Myanmar parliament, and a former mayor of Yangon. Aung Thein Linn came from the military and was the mayor of Yangon from 2003 to 2011. Currently, he has left the military and his mayor position to be a member of the parliament. He is also the chairman of USDP in Yangon region, leading more than half a million members of USDP. “I do not trust Ban Ki-moon, nor UN”. Southern Weekend : From 2011, President Thein Sein has been pushing for massive economic, social and political reforms in Myanmar. Could you start with an overall assessment of the reform? Aung Thein Linn: We are to build a democratic country and will not reverse the trend. We are to build a peaceful, developed and democratic country for the next generation. Everyone in this country loves democracy. We have done a good job implementing the Seven-Step Road Map. Southern Weekend: So far, do you think the reform is successful? Southern Weekend: Then what are the main difficulties for the reform? Aung Thein Linn: A major challenge is the economic sanctions since the 1990’s. They impact everyone: not only the government, but also every person. The sanction resolutions are an interference in our internal affairs by Western countries. Through the interference, they want to build a puppet regime in Myanmar, which is not something we want. Southern Weekend: Recently, the economic sanctions are being loosened. Both the U.S. and EU have shown some friendly gestures…. Aung Thein Linn: We do not believe them. There is still a gang in our country who wants to grab the power. Their goal is to set up a puppet regime in Myanmar. Southern Weekend: About international community and sanctions, recently UN Secretary General visited Myanmar and met with President Thein Sein. All these show that the relationship between Myanmar and the international community is improving, no? Aung Thein Linn: Just think about it: who is controlling the UN? Who is controlling Ban Ki-moon? 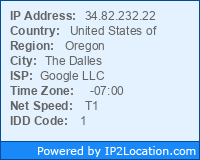 The headquarter of UN is in New York. Just think about it and you will know. Southern Weekend: But it seems to me that President Thein Sein likes Ban Ki-moon. Aung Thein Linn: Maybe, I don’t like them anyway. I don’t trust Ban Ki-moon, nor the UN. They are all the same. All they think of is to interfere with other countries’ internal affairs. Southern Weekend: US Secretary of State Hillary Clinton also visited Myanmar recently. What is your comment? Aung Thein Linn: That is our failure. She wasn’t here to see us. Her trip was not for our people, nor for our country, but only for “that woman”. You know that person. It was precisely because of “that woman” that Myanmar has faced with sanctions. Southern Weekend: In the recent by-elections, NLD led by Aung San Suu Kyi had a landslide victory. Now NLD has 43 members in the parliament and has become the largest opposition party. As a member of the central committee of the ruling party and an MP, how do you plan to cooperate with them? Aung Thein Linn: All of our policies are for the country. We don’t have any selfish motive and are willing to cooperate with any party that serves the country and the people. After the by-elections, they won 43 seats, only 6% of the parliament. We have 76% and are the absolute majority. Aung Thein Linn: At least for now. Our principle is “All for the country”. That is also the three principles of USDP: to protect the territorial integrity of the country, the solidarity among ethnic groups and Myanmar’s sovereignty. Southern Weekend: We saw the opening of many offices of NLD in Yangon and many excited people. They support Aung San Suu Kyi and NLD with great passion. What’s your comment on that? 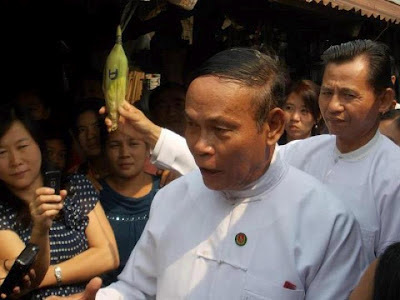 Aung Thein Linn: They are crazy. Ok, she is popular, but only because she is the daughter of General Aung San. He is our national hero. Southern Weekend: You mentioned the reform is for the democratization of Myanmar. Have you thought about that someday you might lose your status as the ruling party and become an opposition party? Aung Thein Linn: In elections, the party winning the majority will organize the government, but still it has to rule the country according to the Constitution. The Constitution was approved by all the people. The ruling party and government might change, but the Constitution can not be changed just because some people don’t agree. Southern Weekend: But as far as I know, the NLD is trying to revise the Constitution. Aung Thein Linn: Yes, they don’t like the Constitution. Southern Weekend: Because it doesn’t allow the spouse of a foreign national to run for office. That way, the political future of Aung San Suu Kyi becomes a problem, right? Aung Thein Linn: Yes, that is a rule for the qualification of the president and vice presidents. Southern Weekend: Do you think their effort to revise the Constitution will succeed? Aung Thein Linn: The leader of NLD (Aung San Suu Kyi) is the spouse of a foreign national. That’s why they want to revise the Constitution. But it is our responsibility to maintain our national identity and we will pass along this responsibility from generation to generation. The Constitution determines that the spouse of a foreign national shall not be the leader of the nation. Southern Weekend: You are saying the revision of Constitution will not succeed. Aung Thein Linn: No way. No one likes their trick. Myanmar was once a British colony and was ruled by the British for more than 100 years. No one wants to go back to be a colony again. This is the main reason. The second reason is that we will never allow any foreign military facility in Myanmar. That is a requirement for our sovereignty. Southern Weekend: As the MP of the ruling party, how do you view the representatives of the opposition parties in the Parliament? Are they your friend, competitor or collaborator, or else? Southern Weekend: Are there any different opinions on political reform and the relationship with the opposition parties within USDP? For example, among the senior members of USDP’s Central Committee, do you share the same view? Aung Thein Linn: There is no difference of opinions. Our solidarity is based on the three main principles of the party. No different opinions. Southern Weekend: Have you learned any lessons from the by-elections? Aung Thein Linn: We learned a lot, really learned a lot. Aung Thein Linn: For example, to win an election, we need to do more public relations campaign on the work we have done and better understand the need of the people. We also need to change the thinking style of the people, spread the knowledge and work with the people regularly. Southern Weekend: Is there a problem of further releasing the political prisoners? Some critics are saying there are still a large number of political prisoners in Myanmar. Aung Thein Linn: We used to have political prisoners, who are all released now. So-called political prisoners were all in prison because they broke the law. Southern Weekend: NLD told us that there are at least 300 political prisoners not released yet. Aung Thein Linn: They have been spreading false rumors about us. This is a shameful hostile strategy of the Americans. Southern Weekend: About next general election, does USDP have any specific plan to win more votes? Aung Thein Linn: We will reform USDP and improve the party organs at all levels, at villages, townships and cities. Southern Weekend: What do you mean by reform? Looking for better party representatives? Aung Thein Linn: Yes, we will find better people. Furthermore, we will also build road, water systems and schools for the villages, promote the medical insurance system, provide better social welfare and small loans for farmers. Southern Weekend: Do you think you can win the next general election by these? Aung Thein Linn: We will win if we try. Southern Weekend: Many people feel that now Myanmar seeks a balance among China, U.S. and Europe. Will there be any change to the foreign policy of USDP? Aung Thein Linn: Generally speaking, our foreign policy seeks peaceful coexistence. We have a close and friendly relationship with China. China has helped us tremendously for a long time. Everyone knows that. In Myanmar, you could see China’s donations everywhere. Among all the countries, China has helped Myanmar most and for the longest time. That is why we have survived so far. Southern Weekend: In 2011, President Thein Sein announced the suspension of the Myitsone dam. Many Chinese are very interested in this issue. Aung Thein Linn: That is not our national policy, and not a decision by the parliament. It was a decision by one man. Southern Weekend: One man, meaning the President? 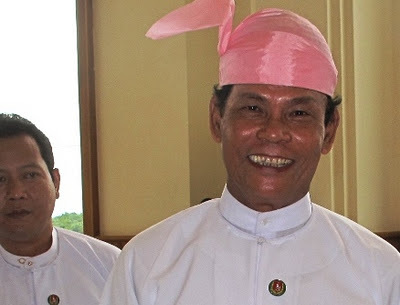 Aung Thein Linn: Yes, it was his own idea, not a resolution by the parliament. We oppose his decision. He tries to sever the ties between China and Myanmar. Southern Weekend: Do you think the construction of the dam could be resumed? Aung Thein Linn: It MUST, because we have to think for the country. We need electrical power. The power shortage in Myanmar has been a long problem, and a political one. You can imagine that some Western countries try to sever the ties between China and Myanmar. Southern Weekend: What is your attitude towards foreign investment? Aung Thein Linn: We have drafted the new foreign investment laws. In the future, all countries are welcome to invest, but will do so by the law. The Chinese are very close to Myanmar. At the UN and other international forums, China has always been on the side of Myanmar government. The peoples of China and Myanmar understand each other. We welcome China to invest in Myanmar. We are friends. Southern Weekend: But there are indeed complaints from NGO, media and average Myanmar people about Chinese companies’ exploitation of resources and polluting the environment. Will you hate the Chinese? Aung Thein Linn: No. We are very friendly towards the Chinese. When we were in trouble, it was the Chinese who helped us.